How do you feel coming into work and seeing a new patient on your schedule? I get all giddy inside and am full of anticipation. What will I find? What can I teach them? How can I make them healthier? I’ve had the experience of meeting a wonderful middle aged gentleman for the first time at my office. He was excited to be seen in a dental office as it had been about 2 years since his last dental visit. He had left his last office because he felt something wasn’t right. His intuition was correct. A full set of xrays revealed overfilled root canals, open contacts between teeth, recurrent decay under old overhanging amalgam margins, moderate bone loss and subgingival calculus that you could hang a coat off of. My heart sunk. This man trusted his dentist to serve him with ethically and skillfully. Unfortunately this was not the case. This made me wonder how patients choose their dentist and how they should. (1) Cost – Most patients refer to their dental benefit package to choose their dentist. They will choose their dentist based on their coverage and their out of pocket expenses. (2) Location – Office right around the corner? Great. Offices that are close to work or home are ideal for new patients looking for a dental home. (3) Convenient Appointment Times – Some offices start early (6:30 am) and some stay open late (9:00 pm). This helps the working patient who has a job and the finances to pay for dentistry come in to have work done. 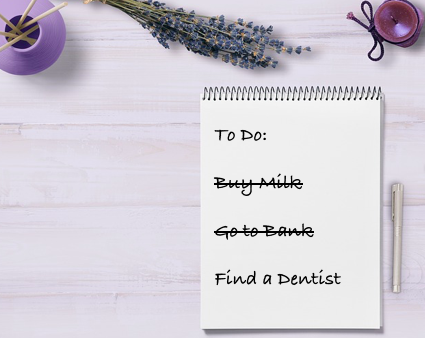 All of the above reasons are great reasons to pick a dentist, but there is more. We should be helping our friends and neighbors understand what questions to ask when interviewing their next dentist. I recently posed a question to dental hygienists on an online social media forum how they would tell someone to find a dentist if they moved to a new location. Some said to ask a local periodontist or endodontist who they would recommend. I have offered this suggestion to my patients but I wonder if it is the best way. Specialists enlist the referrals of general dentists for their business. This may be a conflict of interest when asking for a recommendation. Asking friends? What are their reasons for suggesting a dental professional? Are they gentle or nice? Let’s come up with questions to ask. (1) How long are your checkup appointments? Does your hygienist probe at every visit? Do you perform oral cancers screenings at every visit? Do you have advanced equipment to examine the oral cavity? (2) Do you have a remineralization program? This will help determine if the practice is a drill and fill practice or more focused on prevention. (3) How do you calm patient’s fear? Can a patient stop a procedure and feel in control while it is going on? Do they offer sedation? (4) How do you handle finances for large cases? Some patients like to get everything done at once and need to know financing options. (5) What are the Dr and RDHs favorite CE courses? This will get a feel for their passions. (6) How long has staff been in practice in this office? Dedicated employees create value of services in a practice. I’m sure there are many more questions we can come up with to find the perfect office with quality services. Patients rely on us to provide quality care at reasonable prices in the least amount of time. Once we are chosen by a patient we have the opportunity to educate and provide them with care we would want for ourselves. The experiences we give them allows our patients to realize that they have chosen wisely and found the office that has the ability to provide oral and systemic health as well as get their healthy smile back! Previous Can Candy Fight Dental Decay? Next Does Your Dental Office Prevent Disease or Just Treat It?